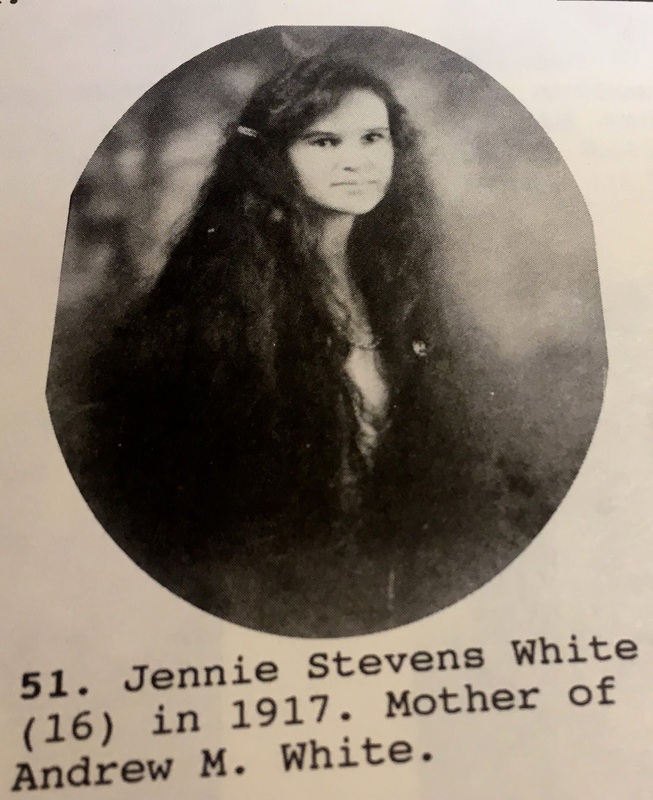 The caption says "Mother of Andrew M. White" but that should say "Andrew N. White" (who is my dad). She's my Grandmother Jennie Stevens White, my father's mother. She married my Granddaddy Nuel Andrew White Sr. when she was just sixteen years old. She was precious, all 4 ft. 9 in. of her. Her husband, my wonderful Granddaddy Andy, rebuilt her kitchen so it could be at her level. Being in her kitchen was like being in a kind of doll house. The most important thing I know of her is that she prayed for me EVERYDAY since I was born. I so believe that has a made a difference in me EVERYDAY. So where - and what - is Colfax, TX? You can click HERE for its Wikipedia entry. To me, it is a wonderful place. You can find out more about my reasons for thinking it is wonderful if you go to "Labels" on the right-hand side of this blog and click "Colfax". I'm writing about this right now because the Will White Family is coming up on its 100th anniversary reunion July 4th! This was taken in the summer of 1977. I'd tell you who those other folks are, but I need to get this post done soon. Oh, and this was two months before I met my Sam the man. I have more to say, and show... but I wanted to get this post published. If you'd like you can click HERE for the blog post from last year's reunion. and may diet before - so as I can do my usual: overeating. And you better mark your calendar if you know you should!! Your Grandmother Jennie makes me think of Laura�� Especially her eyes! I can kind of see it, Vicki!! That is a compliment to both Laura AND Grandmother Jennie! !